Our job at Garage Door Repair Dallas TX is to provide repair and installation services to the complete satisfaction of the customer. What this means is that the time of our response is quick when you are in need of emergency garage door opener repair or spring replacement. But the quality of our installation and thoroughness during maintenance also ensure outstanding customer service. The pros at our company are all trained, certified, skilled, and qualified to fix, replace, maintain, and install all commercial and residential garage doors. So you may rest assured that each job required at your garage will be done by an expert technician. We are also insured and bonded so that you will be totally covered during services. Our up to date knowledge and training also allows us to service and install the most recent insulated doors and advanced openers, program smart clickers, and offer advice when you want to replace either the door or opener. What makes our garage door company in Dallas, Texas, the ideal choice for services is our commitment to your requests and skills to help you with anything. You don’t have to search a different contractor to install a new overhead door and replace the broken cable. Whether minor or major, we undertake any project and provide effective results. Want to replace the existing opener? Need emergency garage door springs replacement? Is the door not closing? Thinking to install an insulated steel door? 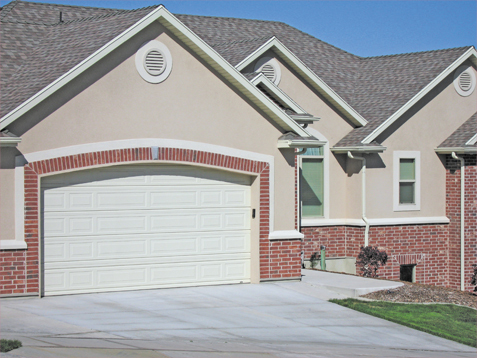 We cover urgent needs with timely garage door repair. From adjusting the travel limit of the door and fixing the sensors to replacing the cable and aligning the track, our pros do any repair work required in order to make the door operable again. Our response is fast because problems might endanger your safety. And for this reason, we also offer maintenance garage door service and do our best to prevent any future issue. We, at our Dallas Garage Door Repair business, offer honest, affordable, and timely solutions to all matters related to your garage system. So do get in touch with us today.